The GMAT quant section tests your ability to analyze data and draw conclusions using reasoning skills. There are 31 multiple choice questions on this section that test your abilities in these areas, and you’ll have 62 minutes to complete the section. The quant section is the third section of the test, after the analytical writing assessment and integrated reasoning sections. Like the two previous sections on the GMAT, you’ll take the quant section on a computer. However, unlike the integrated reasoning and analytical writing assessment, the quant section is adaptive. What that means is that the difficulty of the questions you get will be adjusted as you get questions right or wrong. If you’re struggling, you’ll receive easier questions. If you’re doing well, you’ll receive more difficult questions. Your score on the quant section is determined by three things: the number of questions you answer, the number of questions you answer correctly, and the difficulty of the questions you answer. Quant scores technically range from 0 to 60, but the range in which people actually score is 6 to 51. 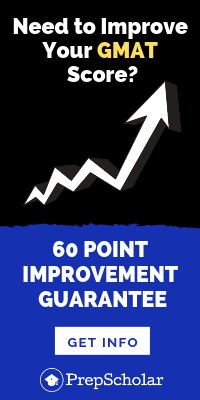 Your quant score also contributes to your GMAT total score, which ranges from 200 to 800. What’s Tested on the GMAT Quantitative Section? 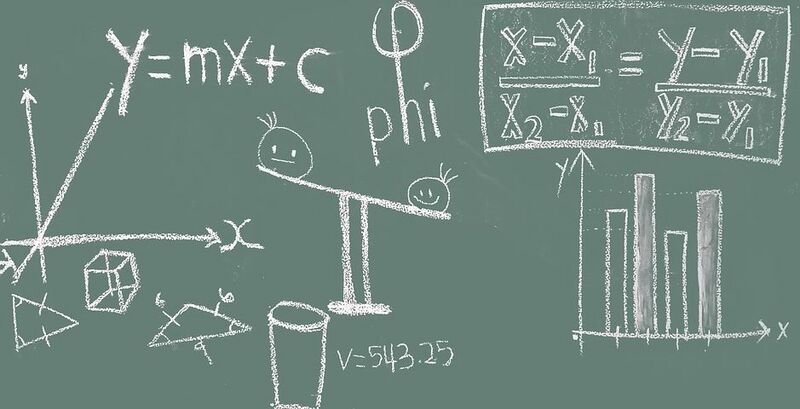 Rather than testing your knowledge of complex mathematical concepts, the GMAT wants to see how you apply your knowledge of basic math concepts on two types of questions: data sufficiency and problem solving. While both question types will require you to do the same kinds of math, they’re testing very different skills. The problem solving questions test how well you can figure out the answers to different kinds of numerical problems, such as knowing how much commission to give on the sale of a good. The data sufficiency questions test your ability to determine whether information is adequate enough to solve problems. We’ll talk more about these two types of questions in the next section. 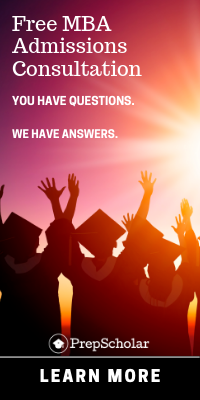 There are two types of GMAT quantitative questions: data sufficiency and problem solving. In this section, I’ll go into more detail about the format of each question type and give you an example problem and solution for each. If you’d like to get more in-depth information about strategies for either of these sections, check out our detailed data sufficiency and problem solving guides (coming soon). Let’s look at what a data sufficiency question looks like in practice. Here’s an example of a data sufficiency sample question that’s retired from an actual GMAT. Is the average (arithmetic mean) of x and y greater than 20? The average (arithmetic mean) of 2x and 2y is 48. First, let’s look at the features of this data sufficiency question. Notice how the question comes first (“Is the average (arithmetic mean) of x and y greater than 20?”). After that, the two statements are listed. Your job is to figure out whether each of those statements is enough to solve the question, either by themselves or together. Let’s look at the solution for that problem. Next, you can simplify to isolate x and y. Think back to the first inequalities. We said that we can express the mean of x and y as either (x + y)/2 > 20 or x + y > 40. In the math we just did for statement 1, we simplified the equation to show that x + y = 48. 48 is greater than 40, which satisfies the requirement that x + y > 40. That means that the information is sufficient. Now, let’s look at our second statement. Whenever you’re solving a data sufficiency question, you want to first solve the statements by themselves before considering them together. We solved statement 1 by itself, now we’re solving statement 2 by itself. Statement 2 says that x = 3y. That means that we can substitute for x in our original inequality. Remember, x = 3y. So, in my second equation I substituted in 3y for x. Now, I can combine like terms. So, solving this inequality shows us that y is greater than 10. But let’s think back to what the question is asking us. The question is asking us if x + y > 40. From solving this inequality, we don’t have enough information about y or about x to see if x + y > 40. If y = 7 and x = 21 then (x + y)/2 = 14, which is NOT greater than 20. If y = 40 and x = 120, then (x + y)/2 = 80, which IS greater than 20. Because there’s the possibility to get an answer greater than OR less than 20 for statement 2, we’ll need more information to solve the problem. The correct answer to this sample question is, then, is A: Statement (1) ALONE is sufficient, but statement (2) alone is not sufficient. Problem solving questions are multiple-choice questions that test high school math skills. These questions are much more traditional and straight-forward than data sufficiency questions. For these questions, you’ll need to use basic math concepts from topics like arithmetic, algebra, and geometry to solve math problems. Let’s take a look at a problem solving sample equation. Here’s an example of a problem solving sample question that’s retired from an actual GMAT. On a 3-day fishing trip, 4 adults consumed food costing $60. For the same food costs per person per day, what would be the cost of food consumed by 7 adults during a 5-day fishing trip? Notice how the problem solving sample question looks much more like a question that you would see in your math class or on another standardized test. All problem solving questions have five multiple choice answers. The first step to solving this problem is to figure out what it’s asking you and what it requires that you know. You’re trying to figure out the total cost of food for 7 adults on a 5-day trip. In order to do that, you need to figure out the cost of food per day for each adult. You can find that by looking at the costs of the 3-day trip. In order to determine the food costs per person per day, divide the total food cost ($60) by the total number of adults (4), and then divide that by the number of days (3). Your equation should be: (60/4)/3 = x, when x is the food cost per person per day. Total food cost per day on a 7-day trip is $175. So the correct answer is B. In this section, I’ll give you some tips that’ll help you as you practice and get ready to take the GMAT and some tips that’ll help you succeed on test day. In your GMAT quantitative review, keep in mind these overall tips that’ll help you build your speed, accuracy, and confidence in solving data sufficiency and problem solving questions. 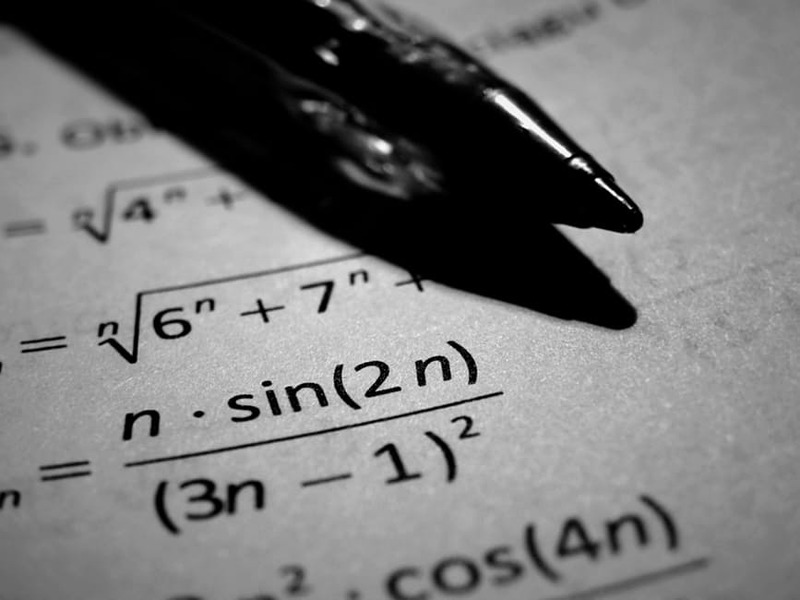 The GMAT quant section only tests high school math concepts. That means that you’ll have likely seen every skill you need to master the test. The key, then, lies in mastering these fundamentals. You won’t be able to use a calculator on the GMAT, so you’ll have to be fast with your basic calculations. Practice multiplying and dividing decimals and fractions. Memorize the exponent rules. Memorize common roots and higher powers. These simple tips will build your confidence and save you time on test day. GMAT quant questions are designed to look very complex and intimidating. However, no matter how difficult the question may look, remember that you’ll only need to use high school level math to answer it. Start small on these questions by using what you know. If you break the problem down into small steps, beginning with what you know, you’ll be able to work towards an answer. Plugging-in numbers is a useful strategy for solving questions. If a question gives you only variables and doesn’t ask you to solve for a number, you can pick values for the variables to make them easier to work with or to test statements. However, you want to make sure you’re using smart numbers. -1, 1, and 2 are good numbers to plug in if you don’t have any confines, because they’re easy and manageable. If the question asks you to use a specific type of number (e.g., a multiple of 3), make sure you’re using one that’ll be easy to do basic calculations with (e.g., use 6 instead of 54). The data sufficiency section is different than any other math test section you’ve seen before. Here are some tips to keep in mind as you’re preparing for and taking the GMAT. Evaluating each statement individually will help you answer data sufficiency questions quickly and more easily. Evaluate statement 1 first, then evaluate statement 2 by itself. When you do evaluate statement 2, you’ll need to forget everything you did for statement 1. Pretend that they’re two different questions. Once you’ve determined whether each statement is sufficient on its own, you’ll be able to put them together. This strategy will also save you time. For instance, if neither statement is sufficient on its own, you’ll be able to eliminate answers A, B, and E. If both statements are sufficient on their own, you’ll be able to eliminate A, B, C, and E right away. There are two basic kinds of data sufficiency questions: value questions and yes/no questions. By learning to identify which type a given question is, you can be sure you understand what it’s asking and how to answer it. Value questions ask you to find a numerical value (e.g., what’s the value of 5x?). 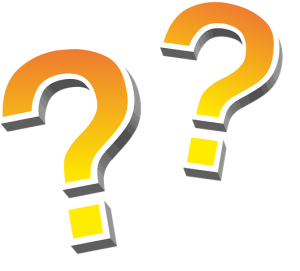 For value questions, if you’re able to find a specific value using the information in either statement, then that statement is sufficient. Yes/no questions ask you whether or not something is true (e.g., is y an even number?). For yes/no questions, a definitive yes or a definitive no answer are both considered sufficient. An answer that is sometimes yes or sometimes no is not sufficient. Remember: a definitive answer is always sufficient. An answer that may or may not be correct is not sufficient. Here are some tips that’ll help you ace the quant section on test day. There will be a number of questions on the GMAT quant section that require you to interpret charts, graphs, and tables. Try to spend at least 30 seconds reviewing the information on these. It’s extremely important that you read the axis labels, the key, and the units of measurement so that you’re correctly interpreting the information contained in the graph, chart, or table and using the right information to make your calculations. One of the most common mistakes you can make on the GMAT is to answer the wrong question. The people who write the GMAT will purposefully include questions that ask things like “Which of the following may not be true?” which can be commonly misread or misunderstood as “Which of the following may be true?” Make sure that you read every question carefully so you’re finding the correct answer to the correct question. Even though the GMAT quant section test on high school math skills, use your scrap paper as much as possible. Writing down your calculations will help you see any mistakes and force you to make sure you’re thinking through every step of the question, especially since you can’t use a calculator on the GMAT quant section. If you’re not sure where to start on a question that asks you to solve for a specific value, remember that the test has already given you the right number — you just have to find it among the wrong ones. You can work backwards by plugging in the possible answers until you find one that works. Moreover, the GMAT normally arranges answer choices in the ascending numerical value, so you can save time by starting with the middle answer. Then you can determine whether you need to go higher or lower with your answer and eliminate multiple incorrect answers at once. The GMAT quant section can be daunting, but with careful preparation and attention-to-detail on test day, you’ll be able to master it. Spend time during your practice developing a deep familiarity with the two types of questions on the quant section (data sufficiency and problem solving) and mastering the basic math fundamentals tested on this section and you’ll be well on your way to achieving your goal score. If you think you’ve gotten a good handle on the quant section, check out our guide on mastering the three questions of the GMAT verbal section. Still confused by data sufficiency? 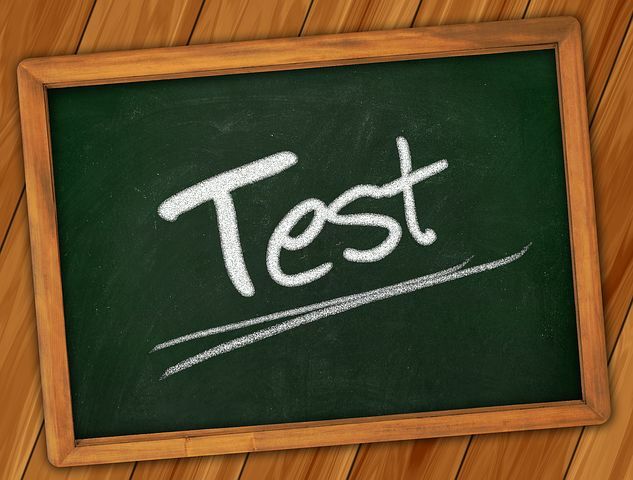 Check out our in-depth guide to learn more about this unique test question type. Find out more about what makes up your GMAT total score and how business schools weight it against your quant score.